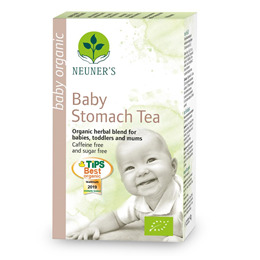 Neuner`s Organic Baby Stomach Herbal Tea is an award winning, very mild digestive tea which is naturally caffeine and sugar-free. It combines the kind effect of chamomile with the sweetness of aniseed creating a delicious drink, free from artificial ingredients. This tea can be enjoyed at any time of the day. Neuner`s traditional blend of organic herbs has been tried and tested, it`s pleasant taste will appeal to baby`s taste buds. This is also a great caffeine free cup of tea for pregnant women or when breastfeeding. Aniseed, Fennel, Caraway, Chamomile, Thyme. Please adjust the amounts to the age of your baby. Please note that this herbal infusion is not a substitute for breastmilk or infant formula, nor a remedy or drug. Always consult your doctor, midwife or health visitor for advice about feeding your baby. 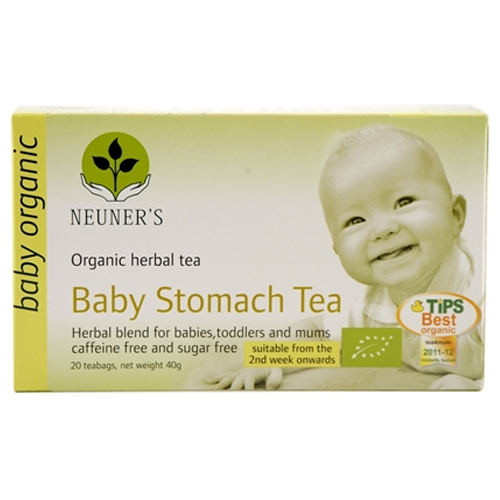 Below are reviews of Neuner`s Organic Baby Stomach Herbal Tea - 20 Teabags by bodykind customers. If you have tried this product we'd love to hear what you think so please leave a review.